Next month, the re-release of Sonic the Hedgehog CD will be in our digital hands. Available for just about everything (except for Nintendo users…yes, we understand your pain), this will certainly be the definitive release of the game. A choice of soundtracks, unlockable “Tails,”…how could you not want it? I know we’ll have plenty of time to gush over Christian Whitehead once it’s released, so for right now we just have to settle for what the Internet has given us today: courtesy of xbox360achievements.org, we now are able to see just what is in store to get that perfect gamer score. If you want to stay in the dark as to what the achievements are, turn back now. Fan art is, for better or worse, one of the biggest aspects of Sonic. Actually, I don’t think there’s any other videogame franchise with such a huge amount of it. But for as many fan artists there are, we never see professionals do their thing with the blue blur. Considering you have probably noticed that classy image of Robotnik above or the title of this article, I don’t really need to say that this has now changed. An art show is being held in Philadelphia with fan art by artists professional enough to draw/paint/sculpt things as their job. 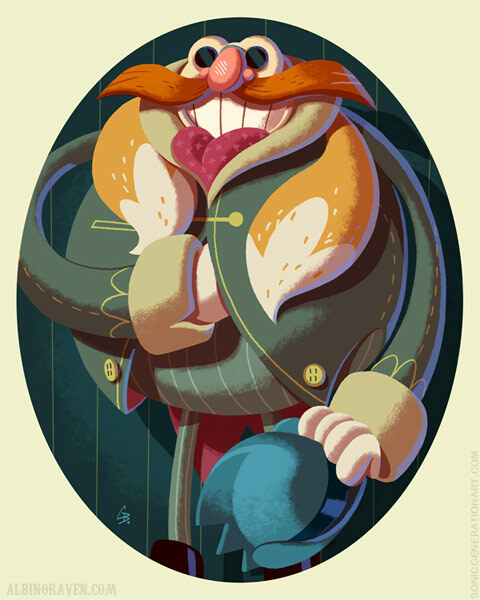 For example, there’s Nelzon Diaz’s The Study or Glen Brogan’s Robotnik. It’s being held from December 2nd until the end of the month. You can find more details and preview more of the art on the website here. 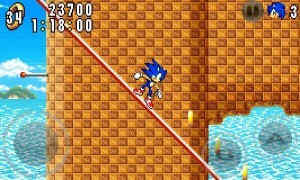 Ports of Sonic games to mobile devices have been nothing new or notable for a while now–after all, we’ve seen both Sonic 1 and Sonic 2 ported to everything ever, as well as mobile versions of games like Sonic Unleashed and Sonic at the Olympic Games appearing for phones alongside their console counterparts. 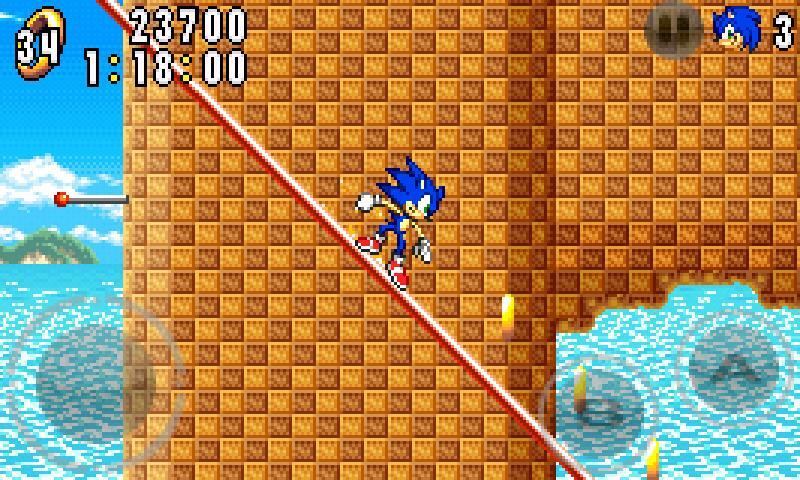 But in a move unseen since Sonic N (rest in peace, taco phone), the classic game Sonic Advance (aka the Advance series game that was actually pretty great) is now available on the Japanese Android Marketplace. For free. How awesome is that? The game is slightly different than the original Game Boy Advance release: when the 3x scaling is calculated back down to the game’s original size, the screen resolution comes out to be 264×158 instead of 240×160. Rather than the GBA’s chiptunes, the original MIDI compositions are being used in this port, which is unsurprising but still pleasant. If you live outside of Japan and still want to play the game, we have a rip of the APK available for download.Note that you will need to know how to root and modify your Android device (which we can’t help you with, sorry 😉 ) and that you’ll need to set your provider id to docomo. Here’s hoping it gets a proper release in the western Android Marketplace for everyone else! Although GameStop’s tablets include a copy of the game already on them, new video on YouTube of the Xbox Live Arcade build of the game gives us a crisper look at the game running, as well as laying any fears to rest of the Spencer Nilsen soundtrack being excluded for those preferring the more rock and synth U.S. soundtrack. The video gives us glimpses at the main menus, Tails as an unlockable character, and a new instrumental remix of the original International opening theme, “Sonic – You Can Do Anything”. Christian “The Taxman” Whitehead’s Retro Engine can be seen in full force as the game animates at a smooth 60FPS on a 16:9 aspect ratio, allowing more of the action to be seen by the player. The big stunner of the video comes at the end when the player goes through the Special Stage, now significantly smoother to any other experience of Sonic CD to date. It’s almost disorienting after playing it at its chugging Mode 7-esque pace. 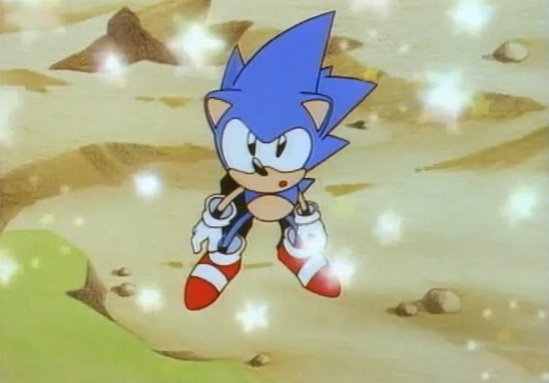 Sonic CD is due out by year’s end on every platform under the sun except for the Wii and 3DS. Sorry, Nintenation. For those of you that slept in or really had no desire to put up with show tunes, marching bands and pop stars, you too can check out the small bit of time in which Sonic streaked by briskly through the crisp New York skies over 34th Street. 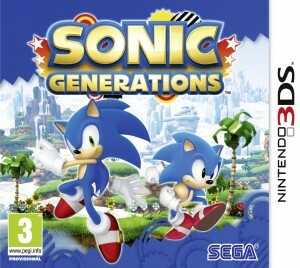 Nothing much to note other than the usual plug for Sonic Generations and some ham-fisted anchorman dialog. 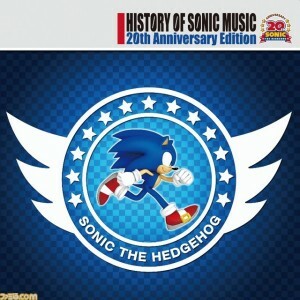 The music Sonic floated in with is the Splash Hill Zone remix featured in Mario and Sonic at the London 2012 Olympic Games. And no, the balloon did not come crashing down onto innocent bystanders again. Happy Thanksgiving to all of you Americans out there and a hello, we love you all to the rest of the world. Save us some stuffing! UPDATE: For those who want Sonic for all time on your hard drive, Retro member Spazz, who put the clear version of the footage you see above on YouTube, has also encoded the Sonic moment for convenient download. Sure, the links are already in the comments, but hey. Why not? Ever Wanted To Paint Your Face Like Sonic? Though it may not be Halloween again until next year, tomorrow is Thanksgiving, and I’m certain that more than one person is going to be in the crowd for the Macy’s Thanksgiving Day Parade for one simple reason: to see Sonic the Hedgehog once more along the New York Skyline. So what better way to show that you’re a Sonic the Hedgehog fan than to paint your face in the visage of the blue blur himself? YouTube user dannylynnforever, who apparently does this sort of thing a lot, has made a tutorial as to how even you can paint your face to look like Sonic the Hedgehog. Sure, it might look a bit…well, scary at first, but that’s only because we all remember what happened the last time Sonic had human proportions. I must wonder, however, what ol’ Danny Lynn did after she painted her face. Did she just wash it off, or did she wander the streets of Australia to see what people would say back to her? If anyone gets the urge to paint their face this way, be sure to send the results to [email protected] and just maybe we’ll make another post about it. Because who doesn’t love people pretending they are a blue hedgehog.